Who remembers the awful off-campus housing options you had in college? Enter: BlueDoor by MyRentHero; furnished, upscale off-campus houses steps from campus with everything included. When you and your college-aged son or daughter are debating off-campus housing options, what’s most important to you? What’s most important to them for off-campus living? What if there was a perfect off-campus housing solution for both you and your college student? 82% of students we surveyed said they’d prefer a house vs. an apartment for their off-campus housing digs. Why? The recurring theme was they wanted their independence, their own space – and it doesn’t hurt that they liked the idea of having a yard. But the challenge we saw was that the off-campus housing market was a mess. There’s not a great deal of transparency which presents a lot of misinformation which leads to disappointment. So what did we build? 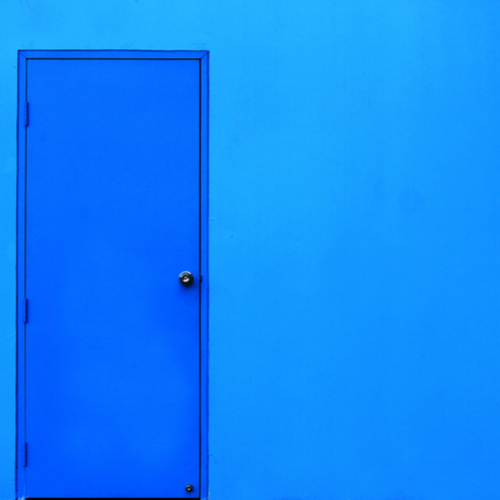 What is BlueDoor by MyRentHero? We decided to go on an off-campus housing shopping spree and acquire homes dotted around campus. Our first priority was location: the houses needed to be less than a 10-minute commute away – whether that’s by foot, by bike, or by public transport. Next, we went with convenience. Our houses are tastefully fully furnished. Each room has a queen-sized bed, the living room has couches, coffee tables, end tables, lighting. The kitchen comes fully stocked with household supplies. Each room and the living room has an LED TV with all the channels you could ask for. We wired the house for blazing fast WiFi. The houses are Google smart homes so you can set the Nest thermostat to the right temperature in the home with a voice command. Oh, and a monthly cleaning service to make sure the place is kept in great shape. Beyond that, everything comes included in rent. No more splitting the cost between roommates for utilities or internet. Or even splitting costs over that living room TV. Everything comes included in rent, so it is just one monthly payment per person. And one thing we do, which is seemingly small yet goes a long way: paying rent online. We make it so that a student just shows up with their suitcase and can enjoy their living quarters. Lastly, and most importantly, we invested in safety. Our homes have a Nest camera for security purposes. We also installed a keyless access pad. This alleviates a couple of issues (one is really for us, which is lost keys), but chiefly it’s a safety precaution. Nobody can get in the house unless they have a unique pin code to get in. Ah, and there’s the misconception. Because we include everything in one payment, it may on the surface appear higher than the monthly rent your son/daughter sees for other off-campus houses and apartments. But look closely. Add in utilities, internet/tv, water, trash (if a house), lawn (if a house), cleaning service (which nobody thinks about but is a MUST). Now see what the rent is. But before you compare that to our rents, make sure you take into account the cost of furnishing the place. Even if you go bare bones, the convenience of having it all in one pays off. And if you don’t go completely bare bones (we’re talking literally just a bed and a desk), then you’re actually saving money on a monthly basis by living in one of our properties. We’d love to have you and your son or daughter check us out. We can give you a tour – or you can look at our site to take a video tour – and hopefully, you will call one of our houses, “home,” down the road. Click here to get started.